Every good deed brings you closer to Allah! Allah is our Creator and the One who has given us so many blessings. He is our Master and our job is to listen to Him and do what He has told us. A Muhsin is one who does good. Allah tells us in the Qur'an that He loves the muhsineen! For each coin, have the child say a good deed and place it into a box of rice. 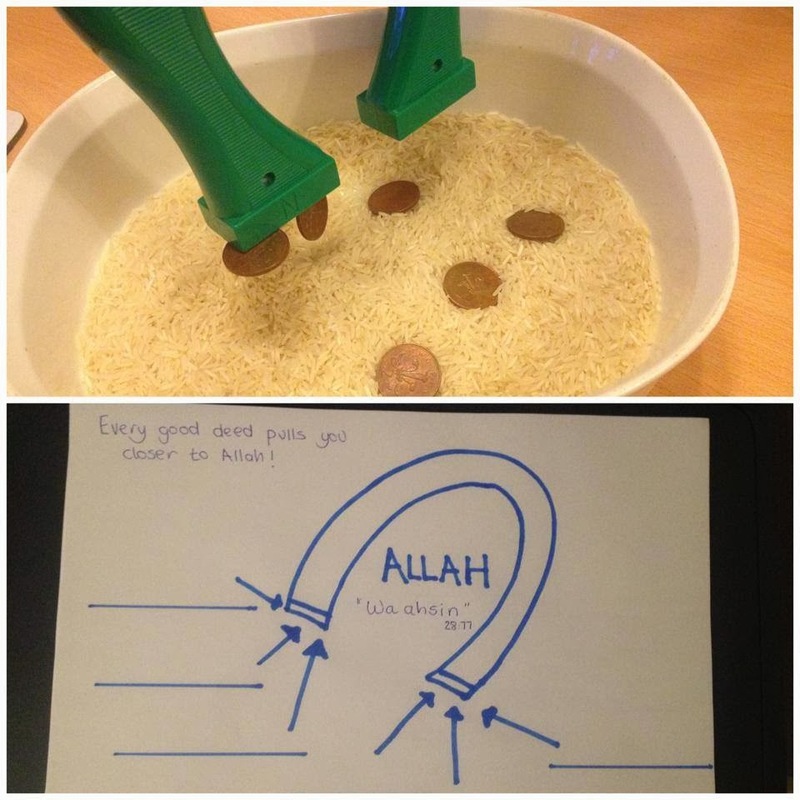 Hover a magnet over the rice and watch how the coins are pulled up. Every time you do a good deed, Allah pulls you close to Him! Every good deed brings you closer to Allah. -There is no such thing as a ‘small’ good deed, all the coins were magnetic! seen by Allah and pulled towards Him!